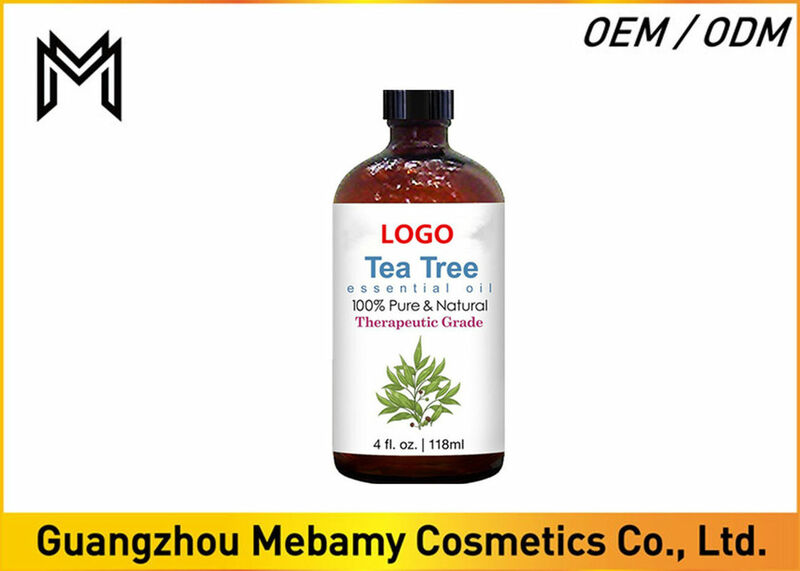 Tea Tree Essential Oil is best known as a powerful immune stimulant. It can help to fight bacteria, fungi, and viruses, and there is evidence that Tea Tree Oil massages prior to an operation may help to fortify the body and reduce post-operative shock. Used in vapor therapy, the oil can help with colds, measles, sinusitis and viral infections. For skin and hair, it helps combat acne, oily skin, head lice, dandruff, toenail fungus, yeast infections, skin tags, cold sores, dandruff, and ringworm. 100% pure and unadulterated Tea Tree Oil. Apothecary Extracts is composed of less than 5 cineole and over 35 terpinen-4-ol which qualifies for Pharmaceutical Grade. No fillers, additives, bases or carriers added. Directions for use and quantities will depend on the type of treatment required. Our Tea Tree Oil is steam distilled and packaged in a dark amber glass bottle with euro style dropper, and has proven antimicrobial, antibacterial, antifungal, antiviral and antiprotozoal properties. It's great for skin & hair care, and the included Gas Chromatography Report proves that it is 100% undiluted and its pure formula is safe to use on your body. Do you have Problem Skin? Do you Suffer from Acne, Psoriasis or Eczema? Once you use our oil you will be Amazed at how Healthy your Skin will Look and Feel. Its Antibacterial Properties Soothes your Skin and Clears blemishes without Drying it. This Wonderful oil also Removes Warts and Skin Tags and can Ward off Infections from Piercings, Scrapes, Bruises, Cuts, Bug Bites and Burns. Great for Shaving and Razor Bumps. Breath Easier and Improve your Overall Health by Killing and Preventing Mold in your Home with our Diffuser and Aromatherapy Ready Formula. It is a Natural All Purpose Cleaner for your Home and Kitchen. Discover the Benefits of Beautiful Hair by Simply Adding a Drop or Two into your Shampoo or Conditioner and Massaging into your Scalp. You will be Astonished at how Quickly it will Relieve Dandruff and itchiness. Also perfect for Lice Removal and Prevention. Your Dentist will be Amazed at how Clean your Teeth are when you use our oil with your Toothpaste and Mouthwash - It Prevents Gum Disease and Fight Cavities. Do you Suffer from Tired Feet? Our oil Makes the Perfect Soothing Foot Soak. It also Deals with Many Conditions such as Athletes Foot, Toenail Fungus, Yeast Infections, Ringworm and Earaches.